Probably nothing more can confirm that as scientific, demographic, and the horrible truth! And, everyone—not just children—are paying the consequences for all chemical exposures. Now let’s see if Drs. Granjean and Landrigan will have the scientific integrity to expose neurotoxins in vaccines for what they truly are. I’d like to give them a reference where to start looking for ideas: My 2013 book Vaccination Voodoo, What YOU Don’t Know About Vaccines, available on Amazon.com. In that book I also mention fluoride. Why? Because what is not documented by peer reviewed ‘science’ journals is the chemical interaction(s) between fluoride and vaccine neurotoxins and other vaccine chemicals. Add to that list, the chemicals we are forced to eat in our food, especially glyphosate from inordinate spraying of genetically modified crops such as corn, sugar beets, soy, canola, alfalfa animal feed, and possibly squash and potatoes. Add to that all the herbicides, fungicides, pesticides, etc. that are sprayed on fruits, vegetables, and animal feeds that get into the food chain BIG time. For more information about those “…cides,” which are intended to kill life forms, readers and both doctors may want to read my 2010 book Our Chemical Lives And The Hijacking Of Our DNA, A Probe Into What’s Probably Making Us Sick, also available on Amazon.com. Any chemical whose purpose is to kill a life form must be considered as a neurotoxin, endocrine disruptor, or carcinogen – at a minimum – in my opinion as a consumer health researcher for almost 37 years. Not to digress from the importance of this article about fluoride, but the USA can put a nation back to work by cleaning up the environment from toxicity once the chemical and pharmaceutical industries are exposed for what they truly are: Biohazards! 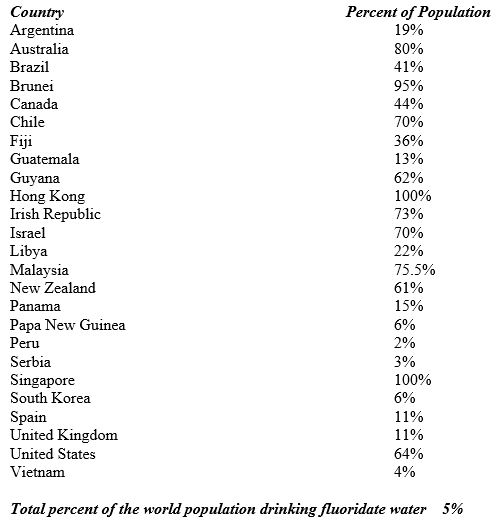 Here’s a short YouTube regarding fluoridation of water in other countries. 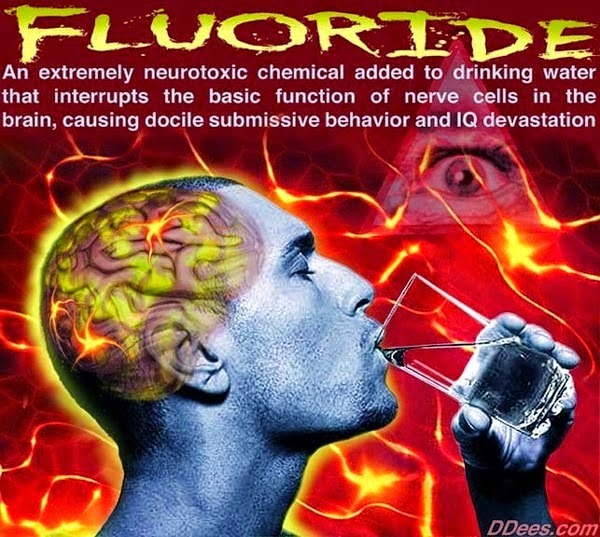 Shocking Government Coverups Hiding Fluoride’s Connection to Cancer!